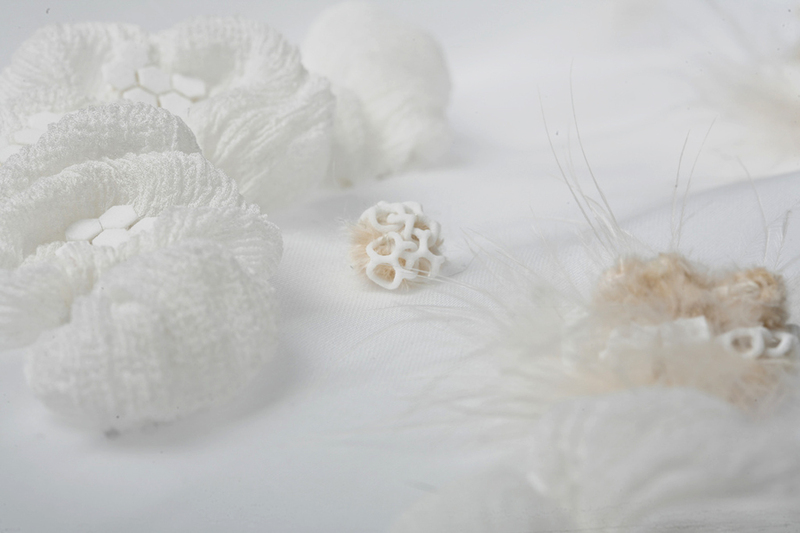 How can traditional textile craft soften the digital aesthetic of 3D printed textiles ? New advances in 3D printing technology allow for the design of complex geometry and structures that would be impossible to produce with traditional manufacturing processes. Such technology promotes a rather homogeneous digital aesthetic. This is especially true for 3D printed textiles, often developed with an engineering approach rather than textile design perspective. 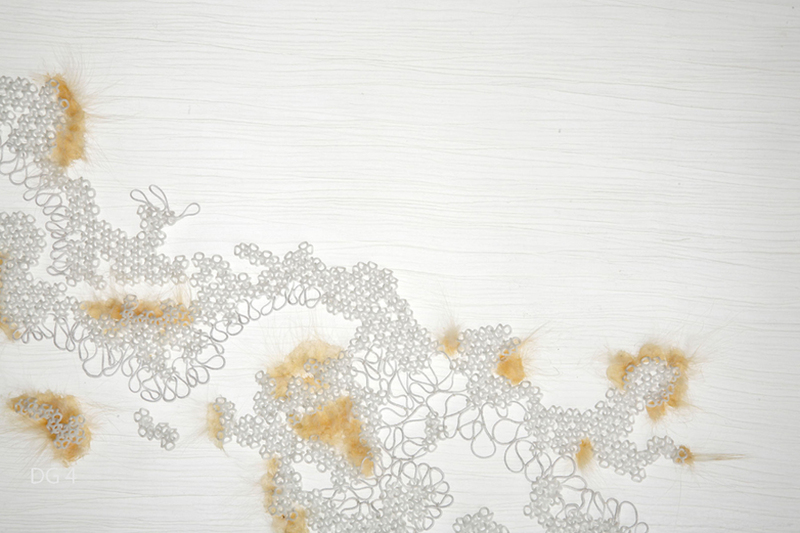 The aim of this project is to explore the yet undefined space where traditional textiles and additive technologies are combined; using traditional craft techniques. This introduces a new visual language that challenges and softens the digital aesthetic associated with 3D printed surfaces. Combining labour-intensive needlecraft and textile manipulation techniques with 3-D printed elements, Digicrafted looks into new design possibilities for hybrid design connecting the digital and the handmade.